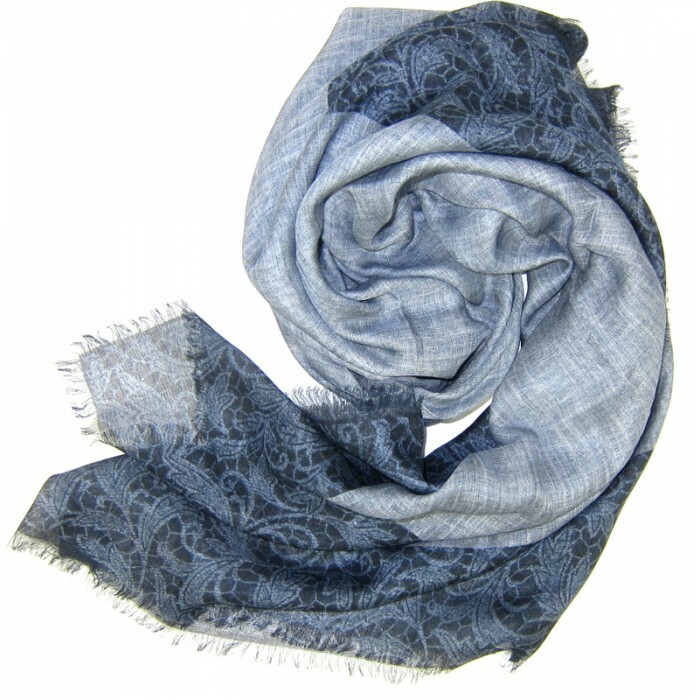 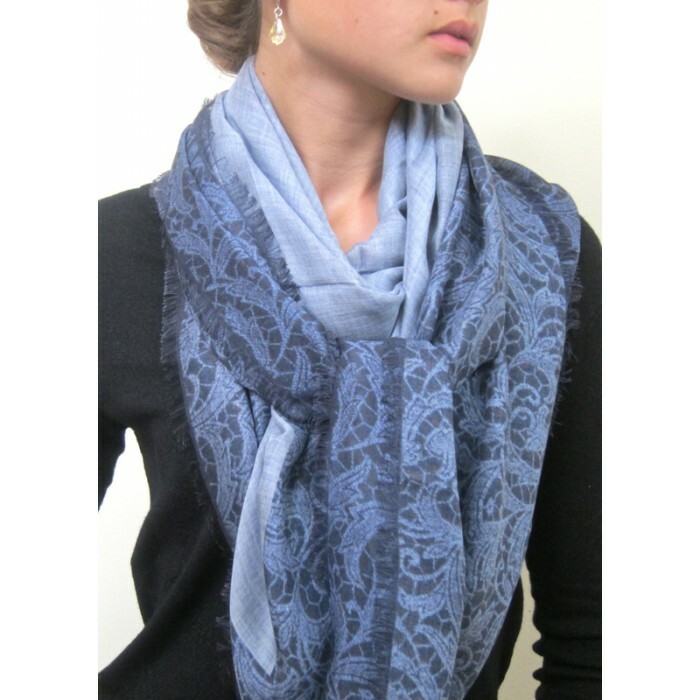 This stunning modal and cashmere featherweight scarf is a chic accessory to be worn in so many ways! 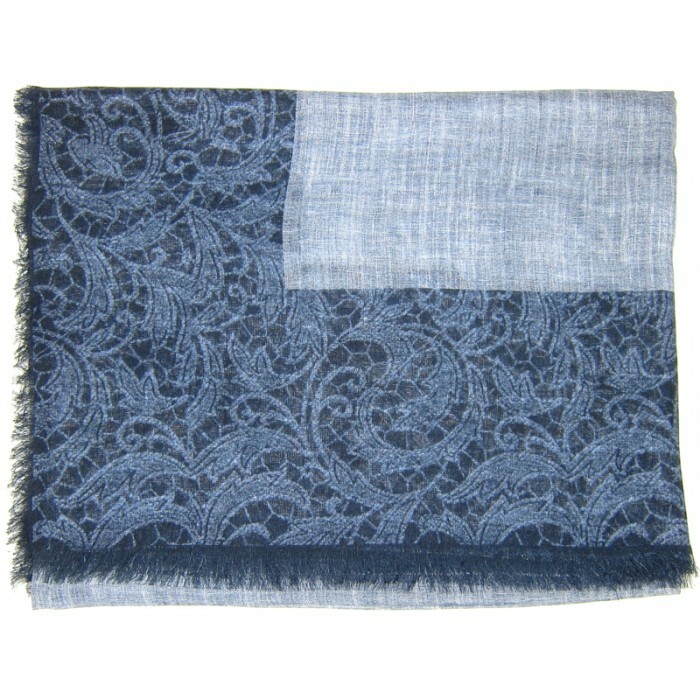 The large blue border print frames a lighter blue melange blue center square. 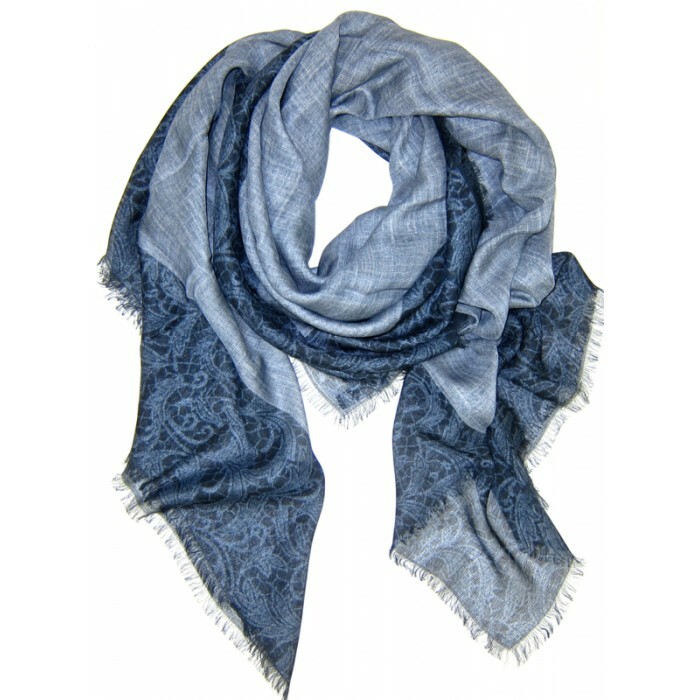 55" square, 4 sided self fringe, 90 micromodal, 10 cashmere, Made in Italy.